When colder weather keeps you and your family bundled indoors, you may be protected from the outdoor elements. But, you may also be exposed to a number of pollutants inside your Buffalo-area home. Radon tops the list as one of the most hazardous pollutants that affects indoor air quality, but it’s certainly not the only one on the list. January is National Radon Action Month, the perfect time to pay attention to this naturally occurring radioactive gas known to cause lung cancer. Radon comes from the natural decay of uranium found in most soils, and it rises from the ground into the air. As a leading home inspection company in Western New York and certified testing laboratory, we know holes and cracks in the structure’s foundation can allow radon to seep into your home. It can also enter your home through construction joints, gaps around service pipes, cavities inside walls, or even through the water supply. Since you can neither see nor smell radon, the only way to check for it is through testing. While DIY radon test kits are available, we recommend having the level of radon in your home measured by one of our certified professionals. If elevated levels are measured inside your home, the condition can be mitigated and levels brought down to an acceptable level. You can conduct tests for indoor pollutants, and you may also become aware of their presence by the effects on you and your family’s health. Immediate effects can include irritation in the throat, nose and eyes, dizziness, headaches and fatigue. The symptoms are typically short-term, treatable and may be eliminated by eliminating exposure to the pollution source. 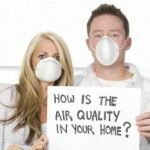 Improving the indoor air quality of your Western New York home can make your environment safer and more comfortable for the entire family, during the long winter or any time of the year.